Today's Image of Mars is of a lava flow coming from the southwest that has been constricted between two obstacles. These two obstacles could be ridges or hills. Scientists can determine the viscosity, thickness, and strength of the lava flow by how it reacts with obstacles. By determining the properties of the lava flow scientists can then determine the composition of the lava. 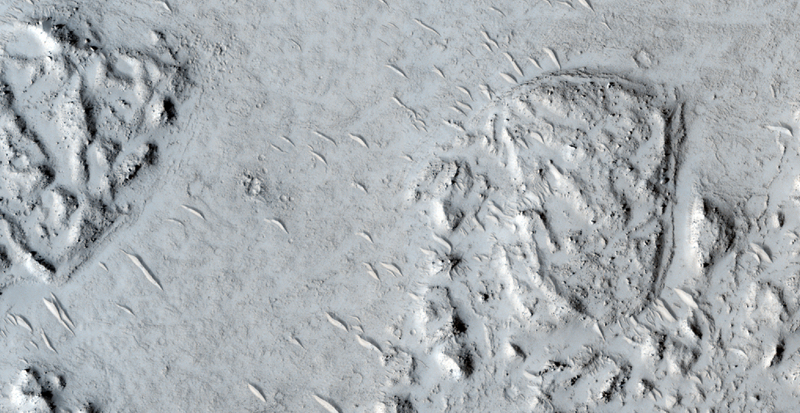 This image links to the larger image by HiRISE.